Some say that ‘Nokketha Doorathu Kannum Nattu’ is one of the very few Malayalam films, which in it’s every sense makes us nostalgic about a period of the life of Malayalis. But it is not actually a film depicting the nuances of a certain period. But the film has something in it which always makes us remember those days and awakes the nostalgic thoughts within us. The film was written and directed by Fazil. He was also the co-producer of the film along with Joseph Valakkuzhy popularly known as Ouseppachan within the industry circles. The film was produced under the banner of Bodhi Films and it was distributed by Dinny Films. It was released on 26 October 1984. Ashok Kumar was the movie’s DOP while the evergreen music of the film was composed by master musician Jerry Amaldev. The lyrics for the super hit songs were written by Bichoo Thirumala. The editing section of the film was handled by T R Shekhar, who was one of the best in Malayalam that time. Artists list of the film includes Mohanlal, Padmini, Nadia Moidu, Thilakan, Maniyan Pilla Raju, K P Ummar and Sukumari. Director Fazil also played a small role in this film. The story of the film revolves around the characters of Kunjoojamma Thomas, played by Padmini and her grand daughter named Girly, played by Nadia Moidu. Kunjoojamma lives alone in her house after the death of her husband and only daughter. One day her grand daughter comes to visit her. It was the first time Kunjoojamma was seeing her grand daughter. Eventhough she does not like her at first, later they become very close and it is revealed that Kunjoojamma was waiting for her all these years. Sreekumar, played by Mohanlal, is their neighbor and he falls in love with Girly. When one of his friends Alex visits him, he identifies Girly who is a girl missing from Delhi. He immediately informs her father and on his arrival, it is revealed that Girly is suffering from a rare brain tumour and is counting her last days. She visits her grandmother’s place to enjoy the remaining days of her life. Girly is unwilling to go with her father but Kunjoojamma to make her sleep using sleeping pills and sends her with her father for treatment. The movie’s last scene is a very poignant one. When Sreekumar turns around after Girly departs in an ambulance, he sees Kunjoojamma replacing the door- bell which she had removed after Girly arrived. Now she is replacing it with the hope that Girly will be returning back soon. 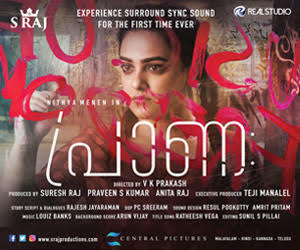 The movie was a great success at the box office and deservingly won the Kerala State Award for Best Film with Popular Appeal and Aesthetic Value. KS Chithra got the State award for the famous song, ‘Aayiram Kannumayi’. It is also the debut film of Nadia Moidu and also Siddique-Lal team who started working as the assistant directors of Fazil.